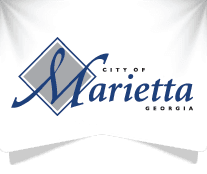 Marietta is a city located in central Cobb County. The city is about 20 miles northwest of Atlanta, and is the county seat. With a population of about 67,000, Marietta is considered one of Atlanta’s largest suburbs and one of Georgia’s best-managed cities. It has garnered national recognition for offering a high quality of life for its residents. While Marietta residents can gain easy access to the big city, there is plenty to do in this community, and it’s become a city of choice for thousands of the metro area’s families. Stroll through the city’s historic downtown, and you’ll find a good number of shops and restaurants. Nearby you’ll see Glover Park, the site of many outdoor concerts and events. Downtown is the location of many city events, including arts strolls, parades and a farmers market. Or grab lunch at “The Big Chicken,” a local landmark rising out of a KFC restaurant at the intersection of Cobb Parkway and Roswell Road. With its strong schools, youth sports and great shopping, Marietta is the place to be for many families living in the Atlanta area.